Cheryl Frazier is a student of learning and education. Her love for knowledge has developed her skillset as a Registered Dental Hygienist for over 20 years. She has over two decades of experience in helping dental teams improve their standard of care, enhance the patient experience, streamline protocols, and create the ideal work environment. 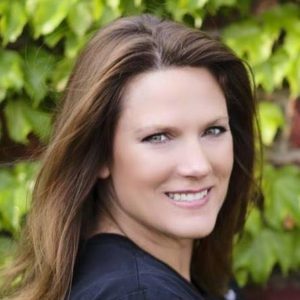 Cheryl graduated with high honors from Colorado Northwest College and holds an Associate of Applied Science degree in Dental Hygiene. Cheryl is laser certified, licensed to administrator anesthesiology, and is a member of the American Dental Hygienists Association. Cheryl is a competent speaker, trainer, and full-time clinician. She has worked with dental practices of all types, including Pedodontists and Periodontists. She was the recipient of the Eagle Award for continuously exceeding her required amount of continuing education, giving her a vast knowledge to help elevate her dental teams. Her advanced skillset includes communicating with patients while showing genuine care, building trust and rapport, increasing case acceptance, and patient retention. She is a true leader and has a prominent passion for dentistry. Cheryl was born and raised in California. She and her husband were recently relocated to Texas from Oklahoma due to her husband’s job with American Airlines. Together they celebrate 20 years of marriage, and have four grown children, and one beautiful granddaughter. Cheryl’s hobbies consist of training German Shepherds, painting, and singing.